It’s true, Bend is a long way from the ocean, and even further away from the warm waters of Hawaii, but that doesn’t mean you have to go without amazing, authentic Hawaiian food. 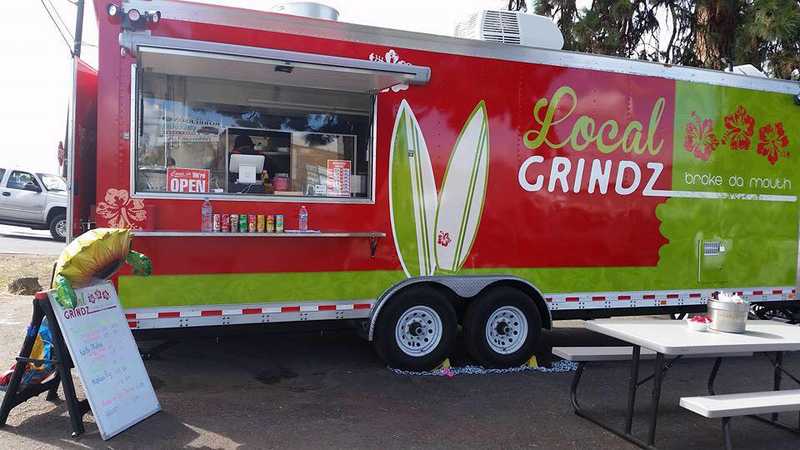 Local Grindz is Bend’s Hawaiian food truck that famously brags that its food “broke da mouth”…in a good way. The truck is typically parked on Grandview Drive next to Baxter Auto Parts in Bend, and it’s from this unassuming locale that the Local Grindz team serves up dishes that will give you cravings for more. Authentic island tastes include loco moco, kahlua pork, potato mac salad, and Spam musubi (aka: Spam sushi); trust the frequent fliers and don’t knock it until you’ve tried it. For tastes a little farther from the islands, you can try Korean pupu chicken, teriyaki plates, kal bi bbq, or pork tonkatsu. Wash it all down with a fruity Hawaiian drink and you’ll be feeling the Aloha spirit all day long. Local Grindz is open Monday through Saturday from 11:00 a.m. until they run out of food, so don’t be late.